My three year old generally likes to have his hand in anything I’m doing. We paint, hammer, dig, plant, bake and clean together, and his enthusiasm almost always makes up for the added chaos. I grew up sewing with my mom and he’s growing up sewing with me. I don’t think there’s a “right” way to introduce kids to sewing, but if you want kids to love to sew I think it’s really important to let go. Sewing with kids is really about process rather than product; if a child can make decisions about thread and fabric and placement and effort they’ll be really happy with whatever they create and, more importantly, they’ll love to sew. We loved to make and string colored pasta shells from a really early age. Put food coloring in a Ziploc bag with really big (uncooked) pasta noodles, then shake. Lay the shells out in the sun to dry and use yarn and large, plastic kid needles for stringing (buy needles in craft supply stores or online). This helps kids learn to hold and direct the needle, and it’s fun (it’s an especially useful plane/car/waiting room activity). Right around my kiddo’s second birthday we moved towards lacing cards. We have awesome sets from eeBoo, and they’re also fun to make. Glue favorite pictures to cardboard and go crazy with the hole punch. Shoelaces work great, or you can use the yarn and plastic needles for stringing. This is another “pre-sewing”-type of fun activity but steps it up a notch (now you’re going in and out, up and down!). leaving it in the hoop and adding ribbon to the top. This can captivate. With a real needle (with a really big eye) and embroidery thread of choice, let kids sew away. You can buy a cheap package with tons of embroidery colors for hours of fun. Put light fabric in a hoop or let kids hold directly onto felt. In early stages you can turn the sewing into nice pillows. You can also use jute coffee sacks (check with your local roaster) or rice bags as your fabric, and then stretch it over cork board or staple it over stretchers for an easy bulletin board or nice, stitched art. Tricky kids can add buttons as they stitch. We like to use felted sweaters for sewing pillows. Throw your natural fiber stuff in a hot load and watch it shrink (we add soap and take it out every five minutes or so to see if the fibers are joining together… A nice diversion from the typical laundry day). Gather up design inspiration. Our favorite “big, colorful shape” artists include: Byron Barton, Lois Ehlert, Eric Carle, Ezra Jack Keats. We stitch semi-randomly and add buttons. This most-obvious dump truck pillow has a pocket for dump loads and a door you can open (see the button wheels?). Just let go of your vision and help them see theirs… Favorite subjects around here are often: monsters, vehicles & dinosaurs. I don’t have a picture but button bracelets and necklaces are another hit at this age. Advanced stringing. The corresponding sorting and the discussions about button characteristics lay such a good foundation for math skills. We like making festive banners for doll celebrations, dinosaur shindigs and the occasional construction worker tea party. We get out the scrap basket and pick our favorite fabrics. We cut triangles with pinking shears and then choose our favorite color of the day for the embroidery thread. The process of putting the needle in one triangle corner and pulling it out another triangle corner over and over takes some good three year old concentration. Knot the beginning and end, hang and party. Once kids are drawing more representational works the sky’s the limit for collaborative creations. We’re not quite there yet! Lizette Greco and her family make some fantastic creations using kid art as inspiration. As kids get more adept with aiming the needle they (or you) can draw a simple design on one side of the fabric/felt and stitch following the line. These are my fair ribbon winners from when I was little. Favorite stitching topic: MOM. Do you have some good ideas/examples to share? 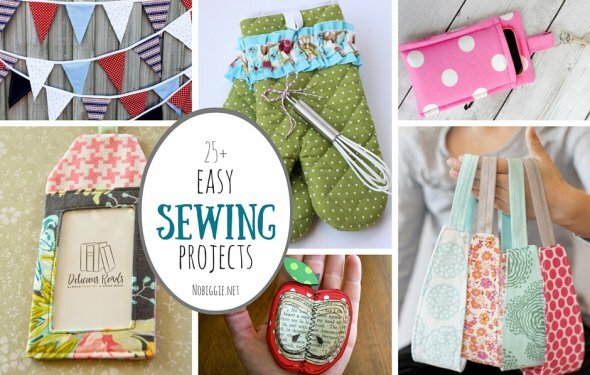 Tell us all about your kid sewing successes in the comments. What works for you? Susan Elizabeth Renhard (17 November 1961 – 27 June 1983) was a student murdered in Cave Dale near Castleton, Derbyshire in Derbyshire 1983. Norman Hugh Morrison Smith, a young student, admitted to her sexual assault but denied strangling her. He was found guilty of murder on 24 February 1984.